I have 3 beautiful little girls - 8, 5 and 3. While they're not quite old enough yet to know who you are, I've no doubt they'll both discover and adore you over the course of the next few years. What you say to them, what your advertisements will say to them, will likely carry a great deal more weight than what I might say - after all, I'm just their dad, whereas you, you're Beyoncé. And apparently you're going to tell them, either directly or indirectly, that you love drinking Pepsi Cola. The New York Times reports that your recently inked Pepsi deal will last for years, cost them $50 million, and for Pepsi it's meant, "to enhance its reputation with consumers". Of course it's also meant to sell Pepsi - at least $50 million dollars more worth. Beyoncé I'm sure you're aware that these days the world isn't the healthiest of places, and that the consumption of huge amounts of empty and often sugary calories is contributing to the burden of chronic diseases like diabetes, heart disease, and obesity - and here I'm not even talking about adults. With truly terrifying regularity, kids under the age of 10 are being diagnosed with what was once referred to as "adult-onset" diabetes. Teens are having heart attacks. In your own lifetime, childhood obesity rates have tripled. You might even be aware that in North America, teen girls get 15% of their daily calories from soft drinks. Why would you want to perpetuate that tragedy? In fact I'm virtually positive you're aware of all that given your involvement with Let's Move. So I have to ask: Is your star fading? Did you make some terrible investments? Do you think sugared soda's not as bad as the medical community makes it out to be? 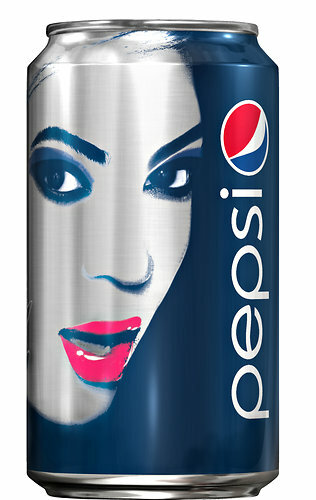 I can't fathom why a star as successful as you would want your own wagon and brand selling Pepsi. While I appreciate that you owe my little girls nothing, I would have hoped that someone with your star power wouldn't need or want to sell children sugar water. Beyoncé, why do you hate my 3 little girls?